Deutsche Lufthansa AG is considered to be the largest airline in Europe and sixth largest in the world. 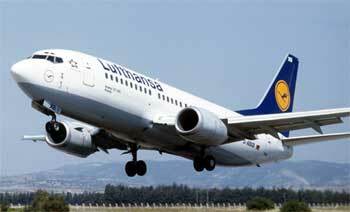 By being the national flag airline carrier of Germany, Lufthansa AG operates to over 200 destinations worldwide. If it were to combine with its partners, the total no of services flights Lufthansa serves will be well over 400 destinations. The airline company itself is based in Cologne with primary base plus traffic hub at Frankfurt International Airport, Germany. Munich International Airport is its second hub. The largest airline alliance, Star Alliance has Lufthansa as its founding member. The Lufthansa Group has more than 400 aircraft and 100,000 employees distributed worldwide. In general Lufthansa has a competitive flexible airfares and convenient schedules. In order to ensure a stress free travel, Lufthansa provides one of the highest standards oin terms of comfort and services.